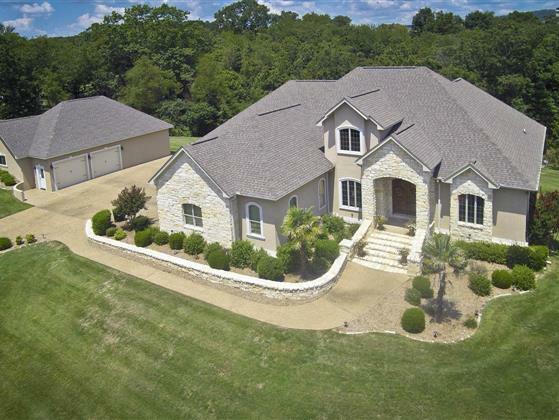 LUXURY AWAITS IN QUAIL RIDGE on a private 2.8 Acre setting for this gorgeous home with panoramic views, bordering natural woods & professionally landscaped! Immaculate 4BRs 3.5 BAs, 2 living areas + an office, offering an elegant home place with granite, quality cabinetry, crown molding & built-ins, an abundance of windows, 10' ceilings & 7.5' solid wood doors. Exterior includes a 3-car garage, a large basement walk-in storage, and an over-the-top detached garage/workshop!